"Thundersnow is a rare weather phenomenon, which is basically a thunderstorm that forms in weather that is cold enough for the precipitation to fall in the form of snow instead of rain. Thundersnow is rare because normally thunderstorms need warm and moist air to form. Cold and drier air, like what occurs during the wintertime, is not very conducive to the development of thunderstorms. The two things that are necessary for thundersnow are the presence of unstable air and a force that will push this unstable air upwards. This force of rising air is provided by strong low pressure. The low pressure will push the unstable air upwards, allow for clouds and thunderstorms to form, and provided that the atmosphere is cold enough, it is thundersnow. You couldn’t design a more perfect snowstorm for DC. It’s absolutely textbook perfect. It’s gonna be perfect." Ben Ali, founder of the iconic U Street restaurant Ben’s Chili Bowl, died Wednesday evening. He was 82. Ali, a native of Trinidad, opened Ben’s Chili Bowl with his wife, Virginia, in 1958. The spot has been known for, among other things, being a date night place for comedian Bill Cosby and his wife, and being the only U Street business to last through the 1968 riots. The restaurant is famous for its chili and half-smokes, the latter considered by some to be D.C.’s signature dish. Those outside of DC may not realize what a huge deal this is.. I love Ben's Chili Bowl. Parts of four major interstates in Atlanta were closed by flooding Tuesday morning, and emergency officials warned people not to drive unless it was absolutely necessary. Northwest of downtown Atlanta in Vinings, muddy water rose from the Chattahoochee River and flooded into the parking lot of the high-end restaurant Canoe. The waters rose into businesses, some of which were nearly half full of water. In the parking lot, water almost covered cars. Down the road in the Buckhead area of Atlanta, near Nancy Creek, multimillion-dollar homes were flooded. New Corvettes, BMWs and Lexuses sat submerged as residents banded together to try to push them out of the rising water. Near Marietta, northwest of Atlanta, a flooded bridge blocked the only road out of a residential area surrounded by a national park and the Chattahoochee River. Two buses picked up elementary schoolchildren Monday morning, but flooding prevented them from picking up older students later, and the buses couldn't return with the first batch in the afternoon, said iReporter Pritam Jaipuriar, who lives there. How are you guys making out down there? The news yesterday and today is making it sound like it's chaos down there.. The electricity is back in D.C. after a huge outage that left the downtown area in the dark during the height of the morning rush hours Friday. It left traffic lights out, Metro commuters hoofing it up steep staircases and thousands of employees on the streets waiting for the electricity to come back on. "It's blacked out a fairly good sized area of downtown, north to U street, south to F Street, over to Dupont and east to 3rd," Pepco spokesman Bob Dobkin tells WTOP. The outages included a lot of office buildings and federal buildings, he says. During the outage, people milled about the streets, waiting for the electricity and air conditioning in their offices to come back on. The morning of Friday the 13th was not a good time to be an operations guy in downtown Washington, DC. All of the facilities I'm responsible for had no power. Server rooms were silent and dark. Hallways were filled with the sounds beeping UPSs. Two Georgia legislators introduced a bill to adjust the Georgia-Tennessee state line to bring it within a portion of the Tennessee River in Marion County. The legislation is planned by Sen. David Shafer (R-Duluth) and Rep. Harry Geisinger (R-Roswell), the Atlanta Journal-Constitution reported. There has long been a contention that the surveyor who drew the line between the two states made an error. It is contended the line should have been a mile to the north, which would allow parched Georgia access to the river. Bill Hobbs, communications director for the Tennessee Republican Party, said, "Gov. Bredesen needs to stand up to this latest attempt by Georgia to take our resources. Tennessee's southern border was established in 1818. Tennessee residents living at the southern edge of Marion County should not wake up one day to find themselves declared to be Georgia residents, and Tennessee's water is being diverted to Atlanta." 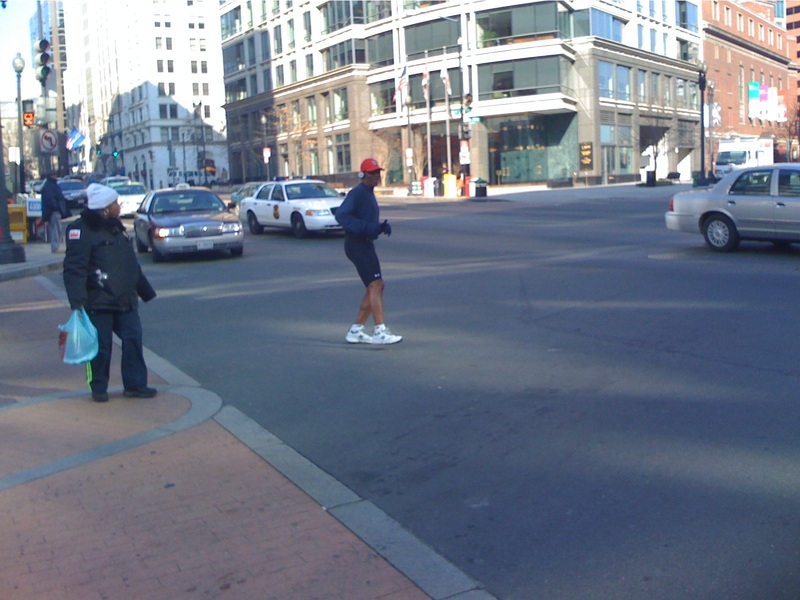 The DC 14th St NW dancing guy..
Every downtown area has it's local color. DC is no exception. In the area where I work, there is this guy who dances in circles down the middle of 14th Street every day hooting, hollering, and rocking out to his headphones. And by middle of the street, I mean directly in the middle of the street. He tends to stop in the middle of intersections and dance as the traffic goes around him. The police in the area pay him no mind.. The scene tends to invoke statements from bystanders along the lines of "is that guy crazy?" Yesterday when I was walking back from getting a coffee, he was over toward the side of the road, so I asked him how long he has been doing this. The answer: 1984. This guy should be a tourist attraction..
New Jersey became the first Northern state to apologize for slavery, as legislators approved a resolution Monday expressing "profound regret" for the state's role in the practice. Well, there you have it. "Oops! My bad.."
CAP's '07 holiday party rocked the park at fourteenth. The club/restaurant wasn't yet open to the public so it was an intimate evening amongst friends, colleagues, significant others and general do-gooders. Excellent vittles and fine spirits were enjoyed by all. Happy Holidays! I don't think anyone left even remotely sober. The after-party-party at Local 16 was also quite enjoyable. A symbol of the first Thanksgiving, the wild turkey is making a giant comeback in New Jersey, where the tall brown birds are found everywhere, even strutting their stuff in suburban yards. 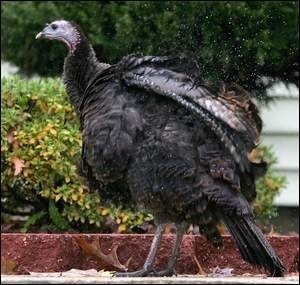 Beginning with 23 birds released in the state's forested northwest tip, wild turkeys now number 22,000 in New Jersey and have spread to every part of the state. In South Jersey, suburban dwellers are beginning to notice. "They are not big, but they are good and really tasty. They are better than the store-bought turkeys," Cass McCarthy said. The following imagery was taken on October 26th.